Today, we are proud to launch our new neuroscience resources for teachers in UK secondary schools. Over the past 6 months, the BNA has been working in collaboration with the Society for Neuroscience (SfN) to integrate their neuroscience Core Concepts into the UK curriculum. We have taken every Biology syllabus in the UK and curated a list of free resources to facilitate the teaching of neuroscience principles within them. We know that neuroscience concepts aren't always the easiest to teach, largely because of the brain's vast complexity and how much there is still to find out. With these resources, we hope that teachers and students will benefit from informative and imaginative videos, animations and activities to aid learning. At the BNA, we are passionate about the teaching of neuroscience and we believe this project fully supports our mission to 'Connect, Inform, Influence'. What are the neuroscience Core Concepts? The neuroscience Core Concepts were first developed in 2007, by consultation with hundreds of neuroscientists and educators across the US. The outcome of this collaboration was the birth of 8 fundamental principles that one should know about the brain and nervous system. SfN had previously mapped these Core Concepts to the US education system’s National Standards (equivalent to UK’s National Curriculum) enabling teachers to use neuroscience principles as part of classroom instruction in a way that is helpful to teachers and pupils alike. Alongside this project, Brainfacts.org was launched to provide both in-house and external resources to support the teaching of these neuroscience principles. 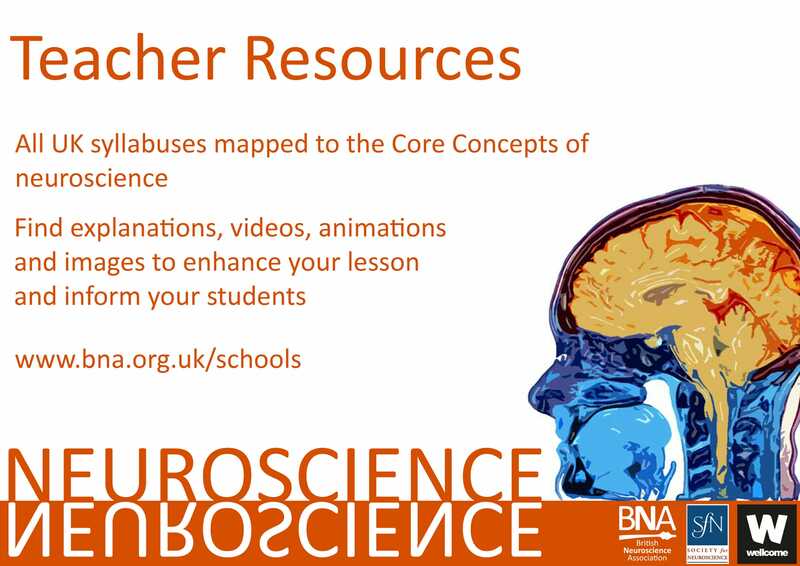 To coincide with the relaunch of Brainfacts.org and for the first time, the BNA has integrated these Core Concepts into the UK curriculum. This has been achieved by mapping every GCSE, A-Level, National 5, Higher and Advanced Higher Biology syllabus to these fundamental principles, in order to aid the teaching of neuroscience in the UK. In support of this mapping, the BNA has curated a set of useful, relevant and free resources to facilitate the teaching of these principles. Finally, please spread the word to any teachers or students that may benefit from access to these free neuroscience resources!